If you haven’t played Fallout 4 yet, then what radioactive rock have you been hiding under? Not to worry, this weekend Fallout 4 is free to play on PC from February 1 – 4. Venturing into the Commonwealth for the first time? 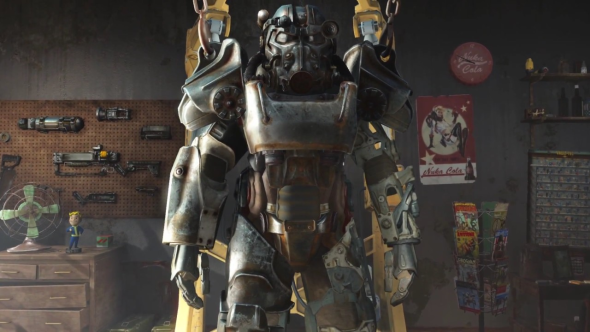 Check out our Fallout 4 beginner’s guide. Those who choose to make a purchase during the free weekend will automatically have their save data carried over. In addition, there’s a sale knocking 33% off the core game, 50% off the Fallout 4 Season Pass (that’s all the DLC’s), and 40% off the Game of the Year edition. There’s also 40% off a variety of in-game add-ons including Automatron, Contraptions Workshop, Far Harbor, Nuka-World, Vault-Tec Workshop and the Wasteland Workshop. Though the announcement does not say where the free weekend will be made available, Bethesda have previously made free weekend promotions accessible through Steam.